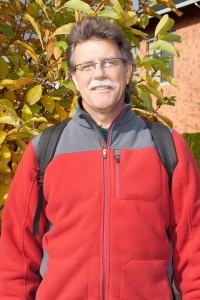 Women broadcasters in Zambia and Zimbabwe, Africa, are sharing their traditional culture via radio art with the help of radio artists from 17 countries, including John Barber, clinical associate professor in the Creative Media and Digital Culture Program at WSU Vancouver. Although they share the Tonga history and culture, Zambia and Zimbabwe are divided geographically by a large man-made lake, Lake Kariba, which makes up much of the border between the two countries. A new CD compilation that includes Barber‘s radio art work “Zambezi River Bridge” is helping to connect them. Barber’s composition was selected to be part of “A Radio Bridge Across the Zambezi,” a CD to be sold on the popular online sound-sharing platform BandCamp. All proceeds from online sales will benefit Zongwe FM, a community radio station in Sinazongwe, Zambia, and the women of Zubo Trust across the Zambezi River in Binga, Zimbabwe. In late 1950, the Zambezi River valley was flooded as water gathered behind the Kariba Dam. The BaTonga people lost their ancestral land along the banks of the Zambezi and were forced to move. Today, Lake Kariba divides the Tonga community, and Zongwe FM radio provides not only a means of communication but also self-help, organization and cultural survival. Zongwe FM broadcasts focus on sharing traditional practices and cultural roles between the separated communities. These broadcasts are produced by a team of radio makers at Zongwe FM and the women of Zubo Trust in Binga, Zimbabwe, across Lake Kariba. International sound artists were encouraged to submit their own work or to remix provided samples from previous Zongwe FM broadcasts. Barber chose to remix the samples “because of their focus on women’s issues as addressed by the women themselves, and because I appreciate the idea of radio as art conference,” he said. 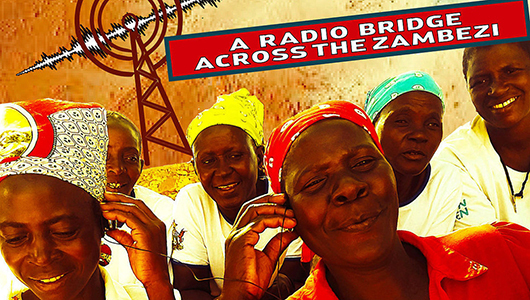 Altogether, “A Radio Bridge Across the Zambezi” includes 23 tracks, by more than 50 contributors from 17 countries. Top image: Artwork for the CD on the BandCamp website.